In spite of facing an uphill battle this season due to sanctions from a 2015-16 season that was filled with player eligibility scandals, Dougherty enters the season with optimism. With GHSA coaching legend Rufus McDuffie coming out of retirement to take the helm for the Trojans, things should quickly turnaround for the better. McDuffie led Mitchell-Baker (GA) to five state championships during a twenty-nine year tenure. On the players side, seniors Terry Lewis and Israel Shead look to help pick up the pieces and keep the Trojans competitive. In addition, 6-foot-9 junior Carlos Curry seems ready to make his mark and open some eyes this season. 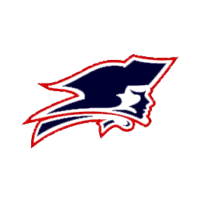 After losing a heartbreaker at the buzzer in last season’s GHSA playoffs (Elite 8), Westover enters the 2016-17 season more focused than ever. The Patriots will rely heavily upon their talented backcourt duo, Kris Gardner and Jordan Brown this season. Given their great shooting abilities and ball handling skills, they are interchangeable in the backcourt and are going to present huge matchup problems for teams out on the perimeter. Both were selected to the Albany Herald’s 2016 preseason super six. Brown will be a highlighted top 10 player on hypesouth.com this season.